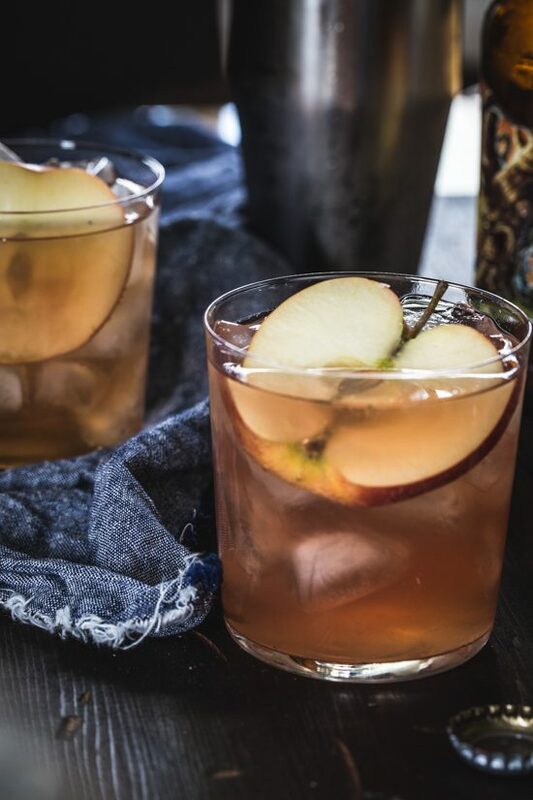 It’s officially fall now, so I am going with a drink that is all about fall – apple cider! 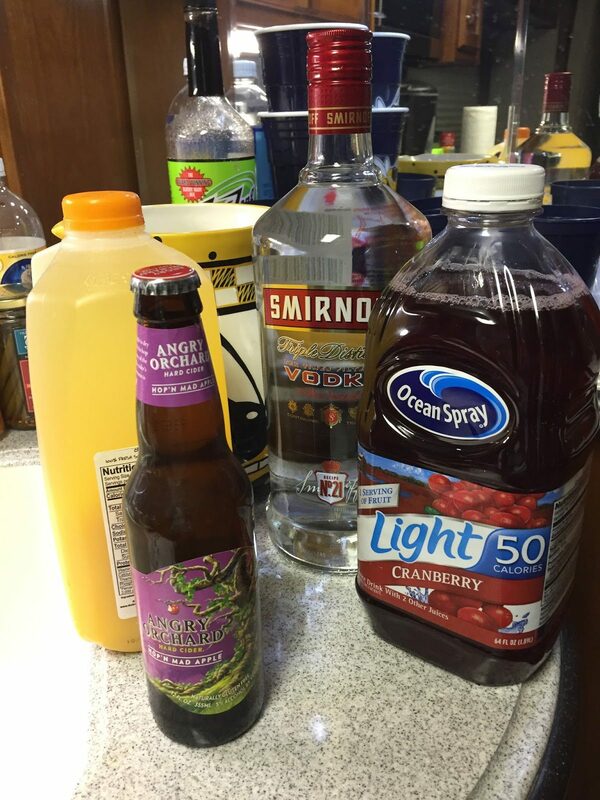 Add some OJ, vodka and cranberry and you’ve got something special! 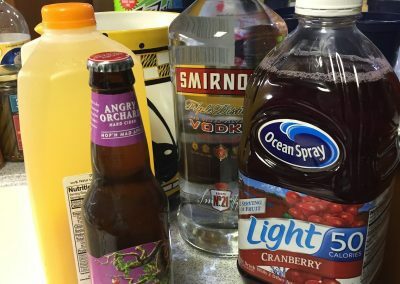 The recipe below is for 1 drink – I’ll be multiplying the amounts to make 8 (and will bring more and make additional batches as needed). Fill glass and cocktail shaker with ice. Add cranberry juice, orange juice and vodka to the cocktail shaker and shake until chilled. Strain into ice filled glass. 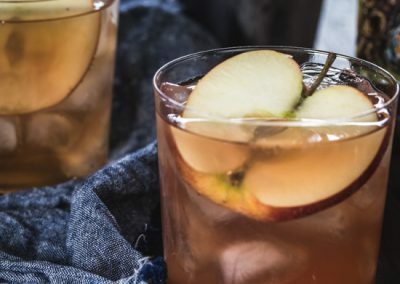 Top off the glass with the hard cider and garnish with apple slice, if desired. Sip and enjoy!